Temperatures are important to enthusiasts and gamers, so we took a bit of time and did some temperature testing on the NVIDIA GeForce GTX Titan X video card. 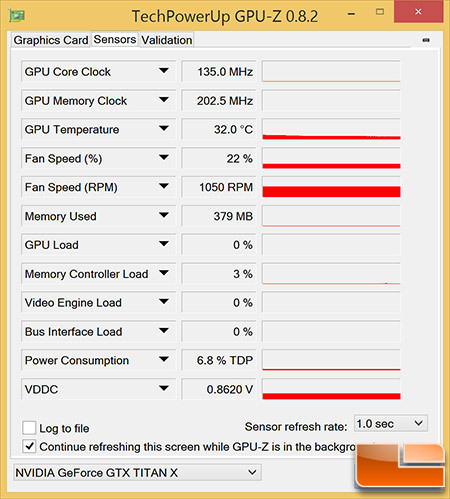 At idle we found the GPU core temperature was 32C with the single fan on the NVIDIA reference cooler running at 22% or 1050 RPM. 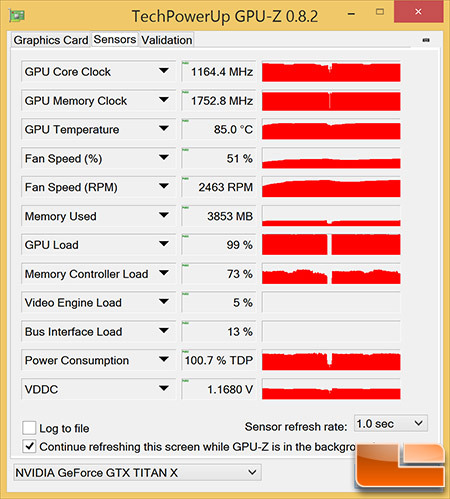 When gaming we hit 85C, which is slightly over the 83C default GPU temp target for the GeForce GTX Titan X. 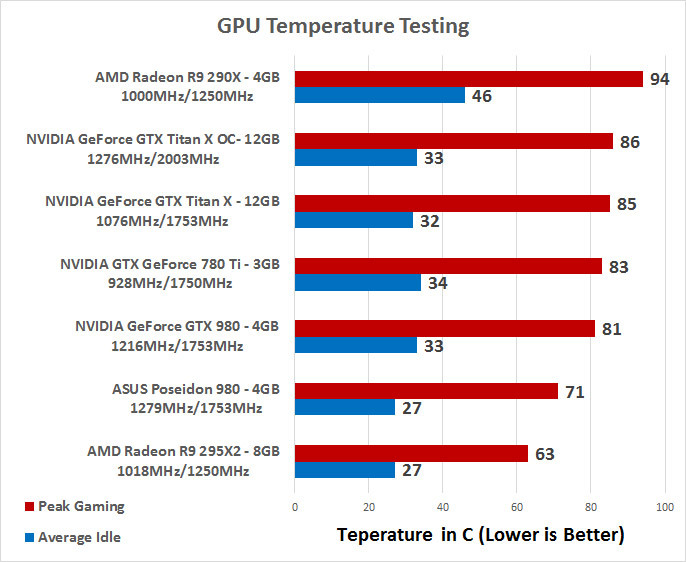 Our room temperature was 70F (21C), so these are respectable scores for a flagship GPU with 3072 CUDA Cores! When gaming our card boosted up to a maximum speed of 1164.4MHz on the CUDA cores. 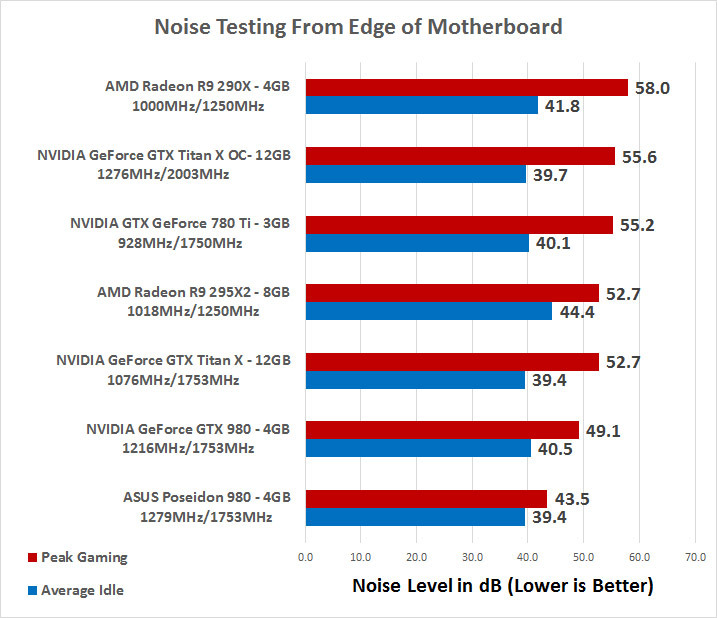 The NVIDIA GeForce GTX Titan X is a fairly quiet card at both idle and when heated to full operating temperature.